When we talk about the plant cycle in the classroom, we describe the seed as both the beginning and the end. Nadia Hebard and her legacy as the founder of Montezuma School to Farm Project is an example of the cyclical nature of time, and what grows from endings and nurtured beginnings. As her service term ended, Nadia researched programs around Colorado that were connecting students to farming. With the help of Jack Burk, her current supervisors, the Mancos Conservation District, and strong roots in the community, Nadia transformed her position and the expiration of her service term into a new endeavor: Montezuma School to Farm Project. The growth and expansion of the Project since Nadia left speaks to the seed she planted and the strong roots her work and dedication cultivated for the program to thrive. Nadia is grateful for how her years working in Mancos shaped her. During her time in Montezuma County, she had the opportunity to get to know and respect the community, learn about the watershed, start MSTFP, and work at the Wily Carrot Farm. Now living in Montana with her two kids and partner, Nadia reflects on the past decade since starting MSTFP: “Mancos left a legacy in me: a love of community and a desire to grow as much of my own food as I can.” She hopes that MSTFP leaves a similar legacy with its students. 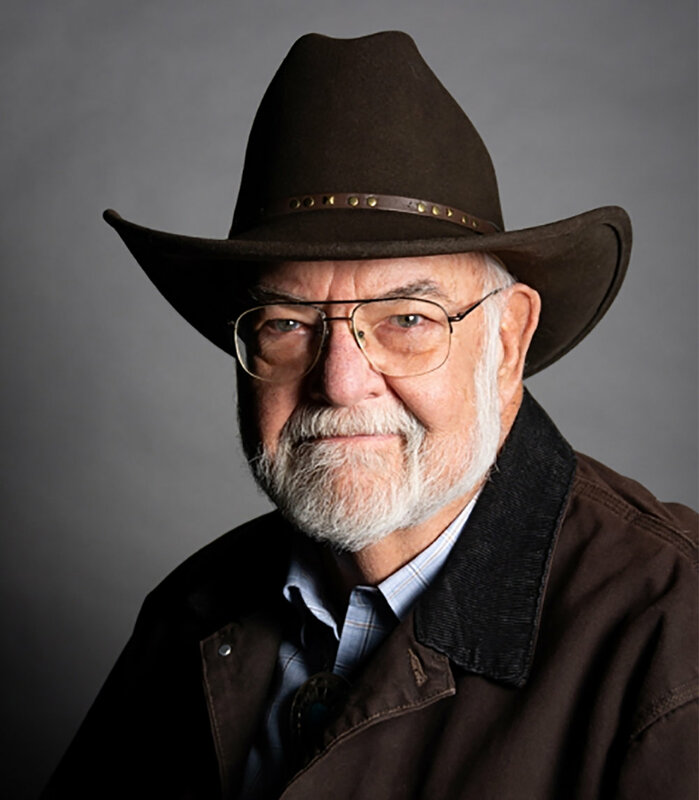 Jack Burk, previous president and board member of the Colorado State Conservation Board and the Mancos Conservation District, and current Montezuma School to Farm Project (MSTFP) Advisory Committee Member, continues to serve as a mentor to the Project. Jack worked with AmeriCorps Nadia Hebard to develop the first iteration of MSTFP in 2010. “I think we have a society where agriculture doesn’t care about health, and I think we have a society where healthcare doesn’t care about food,” says Jack. He believes “it is up to individuals to bridge the gap between what to eat and how to stay healthy. The only way to effectively do that is to grow your own food, or at least appreciate homegrown food.” Jack’s beliefs surrounding the importance of education and the need for food education in schools helped mold MSTFP into what it is today. The program initially was a series of field trips. The first trip followed a drop of water from the snowy foothills of Mancos down to the Burk’s beef farm. MSTFP took a group of Mancos students in a bus and followed the water’s path. When they arrived at the ranch, Jack dug soil pits and talked about the local water cycle and soil health, and then hosted a cook out with his very own Burk Beef. For many students, it was their first exposure to how the environment and earth systems connect to their local food system. The program continued for some time as a series of field trips, but organizing the trips and taking kids out of school for a half day became logistically difficult. When Sarah Syverson came along as the executive director, the program began to transform into what it looks like today, with school gardens and individual garden coordinators at each site. It’s not often remote rural communities get a continuous flow of college educated members who are passionate about the work they’re doing and can add outside perspective and dynamism to the work space. Jack believes that “by having a fresh group of AmeriCorps come through, it’s invigorating for everybody in the program.” He sees the exchange between the community and the MSFTP AmeriCorps as an opportunity for both parties to grow. Montezuma County does its best to teach the AmeriCorps and give them a positive experience in a new space, and the whole community benefits from the outside experience and personality that each new member brings.